Azam's teammate Mohammad Hafeez – who also made gains on the all-rounders' table – rose 16 spots to No.53 after his knocks of 45, 34 and 53, and Shoaib Malik made a gain of one spot to No.28 on the latest MRF Tyres ICC Men's T20I Player Rankings. Following India's 3-0 win over the Windies in the recent T20I series, a host of their batsmen moved up the charts as well – Rohit Sharma climbed three positions to No. 7, mainly because of his incredible unbeaten 111 in the second game. Shikhar Dhawan rose five spots to the 16th place and Rishabh Pant made a gain of 41 points to climb to No. 100. KL Rahul remained India's highest-ranked batsman at No.4 although he didn't score too heavily, and slipped down one position. For the Windies, there weren't too many major positives in the latest update – Shai Hope and Shimron Hetmyer did make big gains, but well outside the top 100. 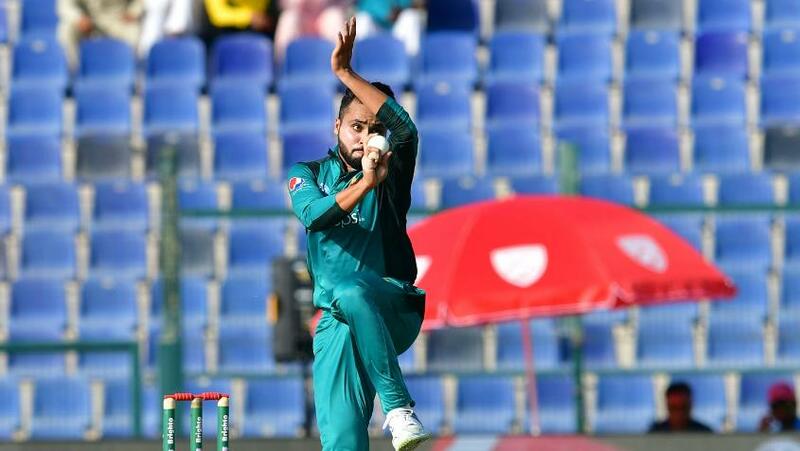 In the bowling department, Pakistan's Faheeem Ashraf broke into the top 10 at No.7 with career-best points of 652, and Imad Wasim trailed close on his heels at No.8 – a rise of two places. For New Zealand, Tim Southee and Adam Milne both rose five spots to No.36 and No.40 respectively, while Trent Boult dropped nine spots to No.27. Ish Sodhi had a lukewarm series and slipped two places to No.5, but remained New Zealand's highest-ranked bowler. India's Bhuvneshwar Kumar, Jasprit Bumrah and Kuldeep Yadav all made gains. Kumar climbed nine places to No.19, Bumrah rose five spots to No.21 and, having taken five wickets in the two games, Yadav rose 14 places to No.23. Yuzvendra Chahal retained his place at No.4. Even on the all-rounders' table, things didn't go too well for the Windies, Marlon Samuels and Brathwaite slipping four places to No.9 and two places to No.21 respectively. Pakistan's Hafeez climbed five positions to No.11, and Ashraf made a leap of six places to the 36th spot. Wasim climbed three places to No.49, tied with New Zealand's Colin de Grandhomme, who also rose four places.